Trinity Episcopal School has served thousands of students and their families in an educational community marked by compassion, faith, intellectual curiosity, service to others and academic rigor. As we look forward to the 2019-2020 school year, we are excited to announce the opening of our online enrollment process on Friday, February 1, 2019. We are deeply grateful for all the members of the Trinity community who have contributed so much to make our school flourish and are continually committed to providing a well-rounded educational experience that prepares students for future success. The Board of Trustees and administration have worked carefully to establish a budget for the 2019-2020 academic year that will allow Trinity to move forward with confidence. The primary source of funding for all aspects of our school’s life derives from tuition. The Annual Fund campaign also provides critical funds which allow us to meet our goals and provide the caliber of education you have come to expect from Trinity. Trinity’s Board of Trustees recently approved the fee schedule for the 2019-2020 school year. To keep up with inflation and raise faculty salaries and benefits, the tuition rates for 2019-2020 will increase 5% with a 3% discount for those electing to either pay in full or make semi-annual payments. The schedule of 2019-2020 Tuition and Fees is published on the school website under the Admissions Tab. We are proud that we have continued to offer the best academic experience on the island for over 67 years. 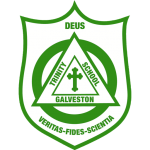 Please help us spread the word about the value of a Trinity education. Thank you again for choosing Trinity.